Nurture the Garden of your dreams. And of course the almighty wish list. Keep track of all your favorites in one place. 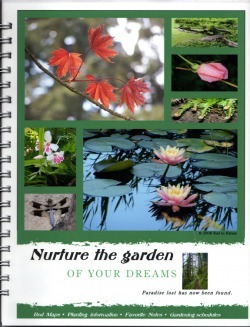 This soft cover, spiral bound, 31 page plan to your dream yard has space to store your plant tags, business cards and web sites for your favorite nurseries.